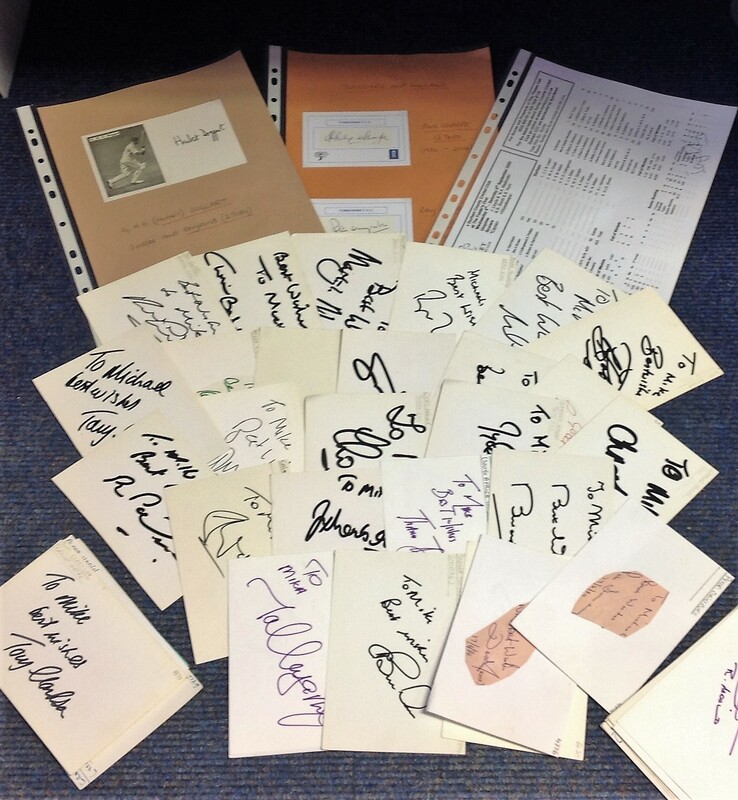 Cricket collection over 50 signatures from international and county players includes Bob Willis, Derek Underwood, Rahul Dravid, Phil Simmons, Russell Arnold, Graeme Smith, Gavin Larsen, Srinarth, Phil Sharpe, Ian Botham and Ray Illingworth. Good Condition. All signed pieces come with a Certificate of Authenticity. We combine postage on multiple winning lots and can ship worldwide. UK postage from £3.99, EU from £5.99, Rest of World from £7.99.